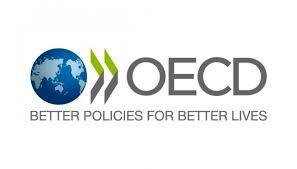 The adoption of four international agreements* in 2015 signalled a transformation in the role of development cooperation with direct repercussions for the Development Assistance Committee (DAC) of the OECD. Recognising the significance of this new era of sustainable development, the DAC set up a High Level Panel in 2016 to make proposals on how to shape the future of the Committee in an international landscape and development context fundamentally changed since it was created more than 50 years ago. Mary Robinson was asked to chair the Panel of 17 experts by then DAC Chair Eric Solheim. The Panel members brought a diversity of views and experience on the role of development cooperation in achieving the goals set by the international community to achieve inclusive, low carbon, climate resilient, sustainable development. Representing countries at all levels of development and with different philosophies of development cooperation, the experts agreed a comprehensive set of recommendations to reform the DAC to make it fit for purpose in a world where universality and equality replaces the traditional donor-recipient relationships of the past. In the Panel’s report, delivered to the DAC in January 2017, the important role of the DAC defining bilateral aid and shaping donor practice is acknowledged. But the Panel warns that if the DAC is to remain influential it has to be a lot more inclusive, bringing its development partners actively into its work and sharing the results of its work proactively with the wider sustainable development community. The role of the DAC is cast in the report as that of a servant leader, humbly serving first rather than leading first, in tune with the surrounding world, open to new ideas and ready to lead among peers but not dominate. To achieve this the report recommends changes to the DAC’s mandate and ways of working as well as a raft of measures to make the DAC’s work more inclusive and its outreach more effective. Mary Robinson presented the Panel’s findings to the DAC on the 2nd February and the current DAC Chair, Charlotte Petri Gornitzka, will now lead on implementing and reporting on the implementation of the Panel’s findings. * 2030 Agenda for Sustainable Development (“Agenda 2030”) with the 17 Sustainable Development Goals, the Addis Ababa Action Agenda on Financing for Development, the Sendai Framework on Disaster Risk Reduction and the Paris Climate Agreement.